Is there a different/updated address for snomone soho packages that should be used, instead. Or, should we delete that address altogether? The SoHo is not set up well. You have to keep in mind that the SoHo was supposed to be a training kit/giveaway. A proper Linux setup wasn't the goal. If you want to fix this, it can be done but you really must be firm in Linux to get this done. In the mini the apt-get should work. There the Linux was set up in a different way. The Debian release on my SoHo is v5.0 ("lenny"); and, according to debian.org, security updates have been discontinued as of February 6th, 2012. Should we not upgrade to Debian 6.0 ("squeeze")? Isn't it risky to keep using lenny? Ah... that would explain why the updates did not work. I have no idea how difficult it is to update to squeeze. One thing is clear, don't do that if your SoHo is mission critical! The SoHo is not set up well. You have to keep in mind that the SoHo was supposed to be a training kit/giveaway. A proper Linux setup wasn't the goal. This comment makes me upset, not at you, but at snom. If this was a training kit / giveaway, it should not have been marketed as a small office home office appliance. I have one that I had to pull off my customers site that was about 14 months old because it quit responding on the network port and I had to replace it. 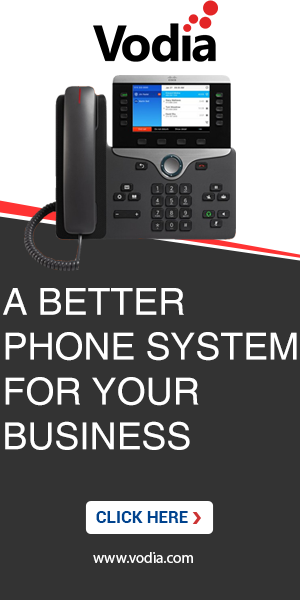 That is a tough sell to a customer with a 1 year old phone system. I cringe at the thought of the other three that I have out and expect a call on those sooner or later as they are all approaching the same age. The idea wasn't bad, just the implementation of a small form factor mb with a 110vac to 12vdc transformer attached to the top of it in a confined case was probably not the best choice This is why I never bought any Mini's. It is more optimal for me to build a budget computer, install Linux, snomONE and your done. If one part goes bad its much cheaper than an entire system or waiting to send it back. In defense it has to be said that snom was caught in surprise by the market demand for such an appliance and the devices were sold in no time. The Linux was really not the point. The mini avoids the problems with the AC converter by having it outside and also offering PoE. That was IMHO a smart move. The power supplies are made in the millions, and the quality level is where it needs to be. The low-power components are a lot less critical when it comes to reliability. I do an apt-get update and reboot. Now sshd is not running. I need SSH access to control the one modification we made to it: install openvpn server. The device has no console port and no documented method of reloading the entire OS through the USB port. I contact the reseller who sold the hardware - no response. I contact Snom who make it impossible to raise a ticket unless you post on their support forum first. Trouble is they no longer have a Snom Mini section in their forum - regardless if you run 4.5x or 5.x so there is no way to break out of the loop there to raise a ticket. Who supports this device ? Nobody that's who! I make a ticket with Vodia almost a week later (for a critical issue) get a half-response that a JTAG port exists. Great, I got the right cable here on the crash cart. But it doesn't help much without instructions on how to open the housing without breaking it, what pitfalls to look out for, where to get a factory image from or anything. Two weeks downtime and counting while the SnomOne mini gathers dust as a paperweight. At the end of the day, both SoHo and mini are Linux computers and we gave customers full access. On the snom ONE plus the decision was to lock out people from the shell; that caused even more problems as customers could not even perform trivial administrative tasks. The mini has a reset-button; however that just reset the passwords and the network setup (DHCP), but it does not install a default SSH program. You can still get a JTAG cable and recover the box. This will give you the console, which runs without SSH. A JTAG cable alone is not of much use if I do not have any guidance on how to pyshically open the case without breaking it apart and once I have the terminal going, I would not know where to get a factory image from to restore it to how it shipped. The SnomOne mini has 4 screws at the base. Opening them you will find that the housing catches on something. There is either a latch or another screw somewhere. Surely someone has done this before and can give some guidance that will help avoid breaking the housing ? Well the post says "SoHo" (which is not the mini), and there you can access the JTAG without opening the box. We can also recover the mini for you. You'll have to purchase a ticket and send the device to the office near Boston.